← Dark ceilings are dramatic! 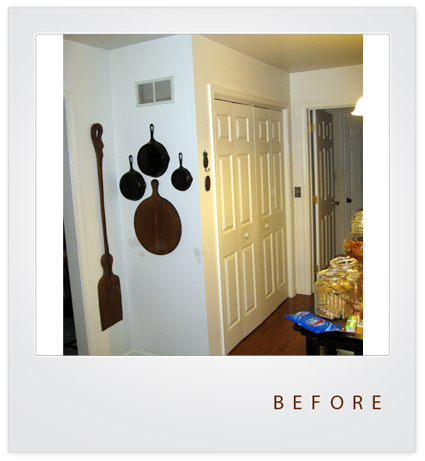 The solution: A money-saving, partial kitchen remodel. Remove the closet and replace it with a Hutch. 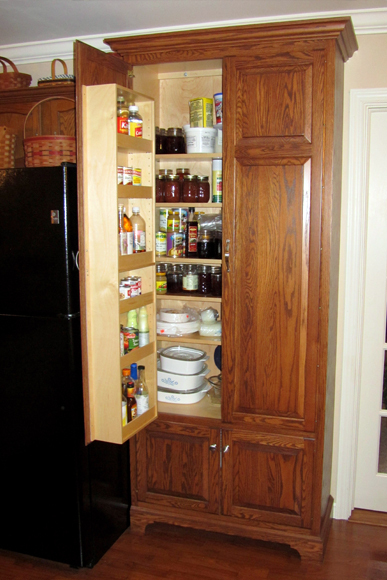 Add a pantry to the run of original cabinets. 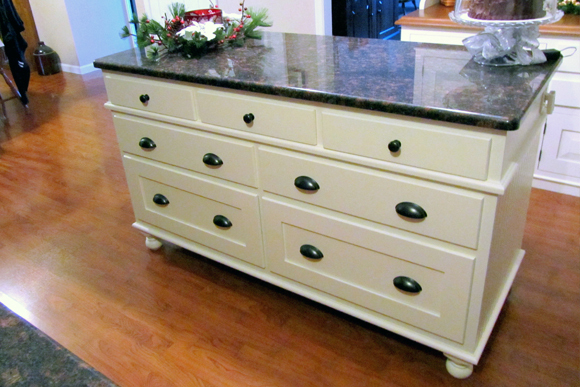 Replace the small island cabinet with a more substantial island. Leave the existing cabinets and appliances, but install new beaded board back-splash and, replace the tired out Formica with Granite. 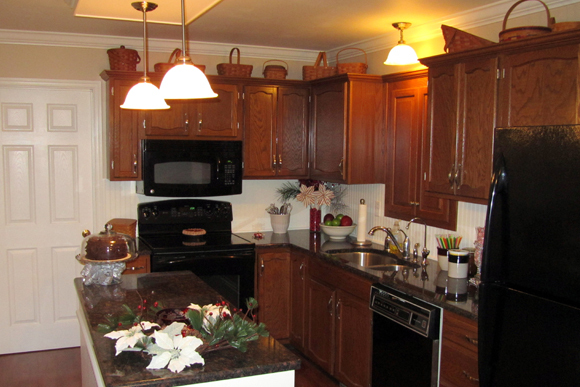 “What’s old is new.” New counters and back-splash revived the look of the old cabinets. 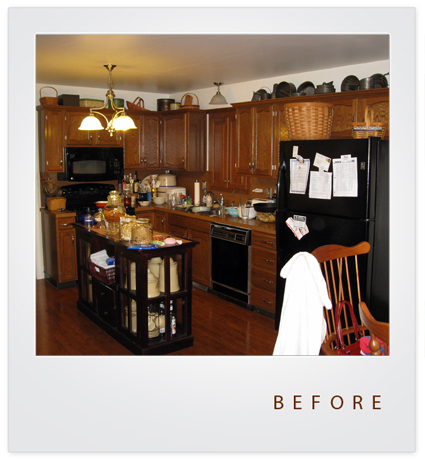 Painting the backslash white helped tie the old to new and gave a lighter appearance to the kitchen. 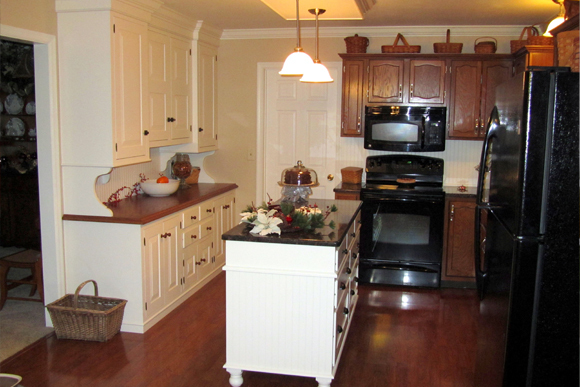 “What’s new is old.” Both the new hutch and the new island have details from old furniture style cabinetry. 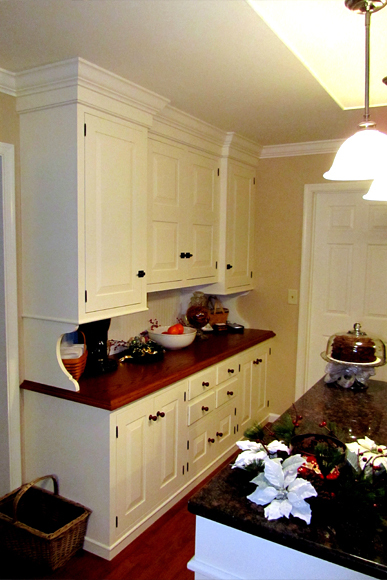 Wide rails and style on the cabinets and doors. 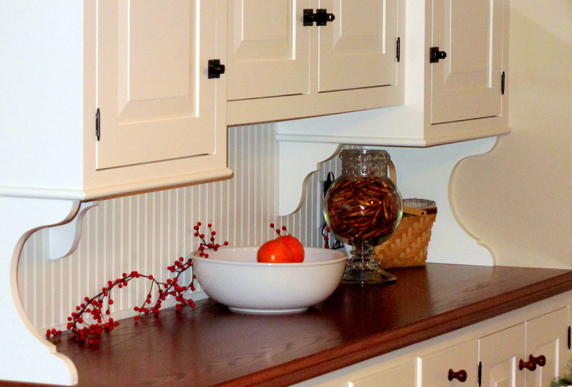 Old thumb latch hardware, old-fashioned wood knobs, furniture legs on island two panel doors on the hutch and a wood top on the hutch all add character to the kitchen. The new pantry is stained to match the existing cabinets. From day one she was thrilled with the look of the kitchen. Two or three weeks later we were talking and she said in an offhand way, “the kitchen works great, everything I do is easier, I am enjoying cooking much more.” That is the result I am looking for, the intersection of form and function, making the kitchen beautiful and a joy to cook in. This entry was posted in Details, Kitchens, Money Saving, Uncategorized and tagged Design Concepts, Kitchen Remodel, Money saving, New Holland. Bookmark the permalink.